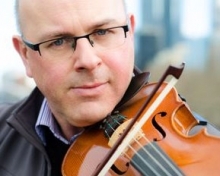 Colin MacLeod, aka the Celtic Fiddle Guru, will perform some lively tunes at 2 p.m. Tuesday, Feb. 12, at the Port Orange Regional Library, 1005 City Center Circle. His free concert is part of the Volusia County Public Library's NEA Big Read, a six-week celebration of “A Wizard of Earthsea,” a 1968 fantasy novel by Ursula K. Le Guin. The NEA Big Read is a program of the National Endowment for the Arts in partnership with Arts Midwest. Reservations are not required. For more information, call the library at 386-322-5152, option 4.